Arthritis in horses – can you do anything about it? YES! Can you fix it? YES! The first arthritis “cure” that I came across is a recipe from Pat Coleby an amazing Englishwoman transplanted into Australian soil, who wrote a book called Natural Horse Care. 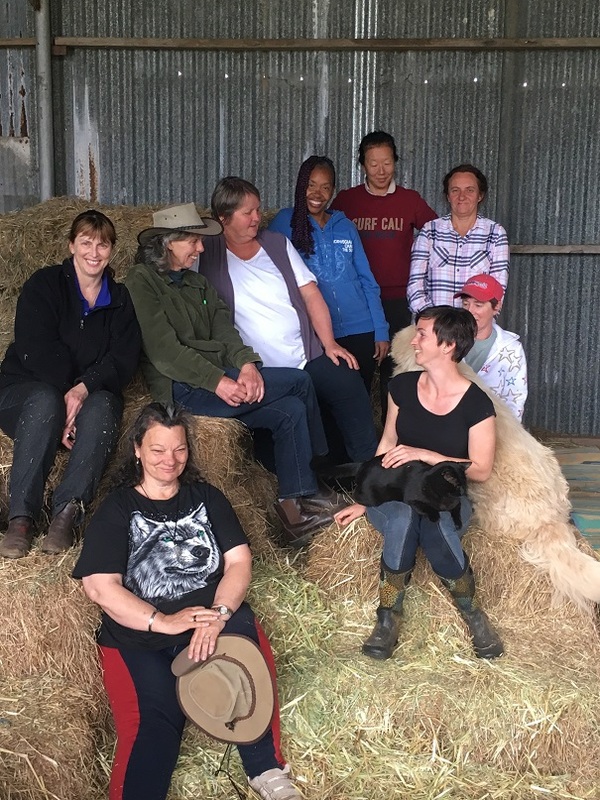 Pat is single handedly responsible for the good health of tens of thousands maybe even hundreds of thousands of Australian animals who were ill because they were mineral deficient and now live healthy minerally balanced lives. Ad lib seaweed meal – that means as much or as little as they wish to lick up. Generally speaking, Aussie horses when they first get access to seaweed go nuts for a while, then calm down and eat nothing at all for a while and then maybe have a few periods in the year where they eat lots. I put mine out in a feeder on a sunny day but I don’t leave it out there because it gets wrecked in the rain. If we feed it in their feed – even a small dose when they don’t need any at all can bring them out in hive-like lumps. Ad lib great big lumps of rock salt. That lives in the feeder with the seaweed. When they don’t want any seaweed, I tend to put the salt out by itself. Copper A big piece of copper pipe coiled up into a circle and sitting in the bottom of my water trough. OR in Australia, the feed additive Livermole contains high copper. If you have a horse who naturally has those pretty spectacles so admired in the show ring, then they are probably copper deficient. HOWEVER – copper excess can give very similar symptoms. If in doubt, contact me… Bobby as a baby was poisoned by too much copper from his mother getting too much Livermole. Sulphur. In most areas of Australia, 1 tablespoon a day of yellow sulphur powder would be a pretty regular kind of a dosage. It is rare in Australia for horses to be grazed “right” – but land that is grazed “right” has plenty of available sulphur and then horses probably wouldn’t need any supplementation. Dolomite. Coopers dolomite is one of the mines that has a good proportion of calcium to magnesium for supplementing horses 3 parts calcium to 2 parts magnesium if I remember Pat rightly. 1 desertspoon of dolomite is pretty much for an average horse in Australia. Again “rightly” grazed pasture, with many different natural plant species will, usually enable the horses to browse for adequate calcium and magnesium. Boron . Found in Borax, yes the same Borax that has poison labels over it in the washing detergent section of your supermarket. Do not exceed the following dosage. As written in the heading above, when it comes to minerals LESS IS BEST. Big horses one reasonably large (without going overboard) pinch of Borax – ponies a very small pinch. We’re talking GRAINS, not spoonfuls! I have used these quantities safely and successfully for many years. HOWEVER – if YOU have the early warning signal that something is Not Quite Right, or don’t feel entirely comfortable, then I suggest you do the quiet mind exercise that I gave you a few weeks after The 9 Keys to Happiness with Your Horse and check it out for yourself. This particular arthritis recipe though, is unlikely to work without it. Later note: There’s some Borax coming in from China that has me feeling uneasy. Apple cider vinegar. The “real” apple cider vinegar has a cloudy substance in it called “the mother” and this is the vinegar you are looking for. The pasteurised supermarket variety, all clean and clear looking is of no use to you health wise. Get the good stuff straight from the apple orchardists who make it or from the horse feed store because the health store variety is way too expensive to feed a horse. 1/4 to 1/2 a cup per day at the beginning is a pretty average dose. Now… this recipe will give relief fairly quickly, within weeks. HOWEVER, I don’t know about you, but I would prefer not to have my horse on constant supplementation. Salt and seaweed and copper pipe I give them access to frequently, though the better our land management gets, the less I am needing to put out of the seaweed and copper. If you want to actually FIX the arthritis, permanently, then you need to tend to the original cause. I have been doing this work for 16 years now and have seen MANY people and horses completely give up their arthritis. That’s an interesting choice of words, hey? I have seen case after case after case… all fixed, gone, kaput, arthritis not there any more. Cases like the lady with the clawed, crippled hands who after about 5 healing sessions over about a year, her hands just popped open on the healing table after she understood the emotions behind the problem. She walked out that day with her hands completely released and pain free. Cases like Kristina my working student who arrived crippled with arthritis that had started in her childhood. She ran her first marathon in May 2018. See her journey here. Cases like my own old horse Carlos whose arthritis “fix” turned me on to alternative therapy as a career of my own. I had actually rung the vet and asked him to come and put Carlos down. I had been having him massaged every week for about a year and he just kept degenerating – his joints were swollen and he was paddock lame in constant obvious pain.. The vet had many emergencies that day and we made the appointment for the following day. That afternoon I heard about a clinic next weekend about learning Bowen muscle therapy. I took Carlos, he was the first horse I ever worked on and I watched the pain melt from his eyes. Bowen made it possible to keep Carlos as a retired companion to my new horse Bobby. Then I discovered kinesiology and homeopathic medicine – and that made it possible over a period of about 14 months to reverse Carlos’s arthritis. About 14 months later he came out of retirement and was the first horse that I ever danced with. 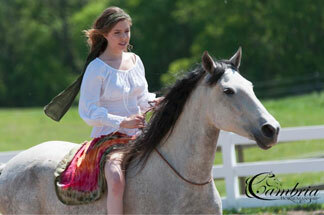 I rode Carlos happily until his late twenties and retired him for the second time – still arthritis free. The further I got into my healing journey, the more I realised that how we dealt with our horse’s nerves and fear had VAST effects on our horse’s health. I watched horses in clinics dissolve health problems, do significant straightening of their spines – and gather their bodies into lovely new ways of moving happily – while they were being ridden in this new way of being with horses that Bobby was teaching me. And what Bobby and then the other horses too were teaching me, led to me writing Zen Connection with Horses and then filming and producing The 9 Keys to Happiness with Your Horse – both of these contain the process that helps heal all kinds of muscular skeletal problems including arthritis. Then Bobby – the horse that brought you Bobby’s Diaries – Bobby developed arthritis to the point of being unable to hold his back feet up for the feet trimmer. Then just last year he released his arthritis while I was riding him with the same techniques that I gift to you in the bonus lesson to free lesson set The 9 Keys to Happiness with your Horse. Hmmm I was surprised that he asked to be ridden in that condition too. It was for VERY short periods of time and intensely releasing of old resistances and trauma from earlier in our lives together when I was not so considerate as I am now. I’ve seen it first hand with vast numbers of people and horses and other animals over the 16 years in my healing practice. So yes, yes, yes it is fixable! And THAT’s the big point that I want to make. In my training as a kinesiologist, I was taught that 80% of what ails us is emotional and in all these years of working as a healer, that has turned out to be a pretty fair figure. It is certainly my experience with arthritis. When we release the emotions, we release the tension. When we release the tension, our bodies can re-align and start healing the way they were designed to do and that includes dissolving the excess bony growths that are arthritis. So – if you have a horse with arthritis that you would like to get rid of (the arthritis not the horse!) use Pat’s arthritis remedy for quick relief – but get at the cause too – go have a look at our training on this page from free lessons to supported lessons and healing sessions and learning how to be a “healer” for yourself. If you’re looking for support through the process, the on line course Fast Track to Brilliant Riding is a year of superb and systematic support releasing old traumas and resistance. It’s a journey about healing for horse and human and finding happiness and a joyful way of moving for both horse AND rider instead. Hi, I live in South Africa and my beautiful baby has been diagnosed with severe arthritis in all 4 fetlocks and knees. He also has a cyst in the cartalidge of his right front fetlock which the vet can’t get to. He is a very big boy. 18 hands and very heavy, build like a cart horse even though he is a French bred warm blood. They have basically said I should retire him or put him down. Does the same recipe apply to him. I don’t believe we graze our horses here properly either. Can I put all the ingredients in his food and put the salt block in his stable and paddock and also the seaweed meal in a separate container in his stable. Also I’ll put a small copper pipe in his water bucket as I can’t put it in the general water as I don’t own those horses? Would this work? He may need a higher dosage Kate. But yes to the lumps of rock salt in his stable and the seaweed in a separate container in his stable and the copper pipe in his own water bucket. Here’s a video about my working student Kristina who arrived here crippled with arthritis since childhood (over 20 years) – now she runs 10 kms a time and her specialist in Germany has recently told her she is free of every arthritis marker. And here’s a lovely video of a spectacular healing of a horses back that you would swear was impossible, achieved by removing the stress from his relationship with humans and releasing old stresses that had caused the damage. http://www.jennypearce.com.au/horse-health/horse-magic-the-healing-of-pye/ I had to have my tissues handy for this one! And here’s another one – Safar the elderly Arabian horse who was in the clinic that I write about in this article. A recent email from his owner tells me that it seems like he has no arthritis left any more either. She is just waiting on confirmation. So take heart Kate – arthritis is fixable and the journey to bring your boy back to good health can be a joyous one too. The precise dosage depends on a whole host of things Kate – what minerals your land is rich or deficient in, what hard feed you feed him and what minerals are in that. When I work out the mineral requirements for a horse, I do a kinesiology test to get a precise answer. You can do that in the context of a session with me if you like. There’s details about session and a place to pay for those in the “About Us” at the top of every webpage. You could just increase the dosages that I talked about using on my own horse who is about 450 kilos and calculate that with your horse’s approximate weight – but again you have to remember, his dosages were for where he lives here and our land may be very different from yours. Do you know what mineral deficiencies you tend to have in your area? The one thing to keep in mind with minerals is that more IS NOT better. I was doing some muscle work on a severely mineral deficient horse once and gave the guy the dosages to fix it. When I came back the next week, there was a large amount of powder in the bottom of the feed bin. His comment was “well if it’s THAT good for him, I thought I would give him more.” Absolutely not, he could have caused a lot of damage making the horse eat such a huge amount in his food. Another way of working when you don’t know the dosage is to put things in separate buckets of water and allow the horse to self medicate. I would put the TINY amount of borax and the dolomite in the same bucket. I have a horse that is with other horses at a location I see him once or twice a week. So I cannot put minerals where there are other horses that other people own. Is there something I could add to just his once daily supplement/grain? The vet thinks she was rough handled and now at only 7 years old she has arthritis in her right knee. He told me I may never be able to ride her more than a trot. I bought her for her sweet disposition and would really like to be able to ride her some day at a canter. Thank you for anything you can help me with her as I don’t want to give her up. Keeping in mind that more minerals ARE NOT BETTER, in fact too much of just about any mineral IS A BAD DEAL. I always test my mineral amounts with kinesiology, so what I have written here is a general guideline only. 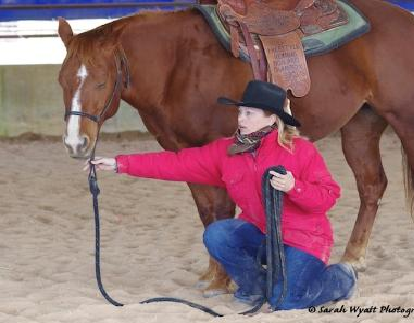 You need to listen to your horse and pay attention to their responses. You can put the seaweed in at the rate of maybe a tablespoon every day BUT and here’s the big BUT to pay attention to – Every weekend when you’re out there with her, give her a bucket with a bit of seaweed meal in the bottom and if she licks at it happily then you can keep going and if she sniffs and says “no thanks” then take it our of her feed so you don’t overdose her. Copper – horses have those dark rings around their eyes and a darker nose when they are copper deficient. They can also have them when they are have had too much copper. I give my horses copper gently by putting some clean copper pipe in their water. That would benefit the other horses in the paddock too. And if one of my horses starts getting those dark marks, I pull the copper pipe out for a couple of months or so. Sulphur – it takes a lot of sulphur to overdose them. Pat Coleby (the originator of this recipe) talks about 1 tablespoon as being very much in the safe range of dosage for a horse. Apple cider vinegar – 1/4 cup will probably do the job. Salt – on no account EVER put salt in a horses food. You may get away with it for even a long time, but one day when the conditions are “wrong” you might kill them. I am about to do a blog on that, so put “salt” into the search this site and look that blog up. PLUS a horse in their comfort zone is in self carriage. I talk about that in the free lessons The Six Keys to Happiness with Your Horse too. The way he uses his body is critical to an “easy” arthritis recovery. I haven’t used msm myself, so I couldn’t say Dianne – but I do know that the yellow sulphur powder works. Anyone else here got first hand knowledge of msm? I have made up the recipe for arthritis but my horse won’t eat it. I put a ring of copper pipe in his water. He picked at it and I put a little molasses in as well but he is not finishing it. He is very sore in one fetlock joint and is getting injections of Arthropen once a week.Maybe the flexion test has stirred things up. Can they overdose on Kelp?? I thought flexion tests were considered passé by vets these days – as in they can actually do damage and don’t tell you much either. Any of the vet readers here care to expand on that comment? Is that in all circumstances or just with old pre-purchase flexion tests? As to the seaweed, in my experience, over 1000’s of horses, I have never heard of a horse overdosing on kelp WHEN THEY CAN EAT AS MUCH OR AS LITTLE AS THEY LIKE – and provided they are not eating it because they are starving. However I did recently hear about one horse whose owner swears that their horse overdosed themself on kelp. If they eat too much or if they are fed more than they need it usually manifests in a rash and can eventually affect the glands and hormones. However, as I said I only ever heard of that one horse and I am not even sure about that because I didn’t see the horse or test it. There is something in there that he doesn’t want – that sounds like a “duh” thing to say, but they really DO know best. Are you using the right amount of ingredients because too many minerals is definitely NOT OK and THAT could cause him to reject them? If you are following the recipe, then back off to nothing and add one ingredient at a time, one day at a time to find out which one he is rejecting. The other possibility is that it is a foot problem causing the fetlock problem and that he knows the recipe isn’t going to work and is trying to tell you. They are MUCH smarter than most people think they are! Come back to me and let me know how you go. Will it work on human knees to? I don’t think anyone has ever tried that kind of a mineral recipe on people Francis – but you could get those minerals out of well grown food (which often means organic) and cooking herbs. I throw a bit of organic dried kelp (seaweed) from the health food shop into just about every soup and casserole – so we have it two or three times a week sometimes and sometimes I forget for a while. You can wear a copper bracelet for the copper element of the recipe. Humans definitely do well on a bit of apple cider vinegar – the good stuff with the cloudy mother in it – I think a tablespoon is a dose I have heard bandied aorund – but becasue it’s a food – just go with what tastes good to you. Garlic has sulphur in it and is great for the immune system periodically too. Hmm boron – I have no idea what cooking herbs have boron in them – I shall follow that up for you!